Navigate the Journey, or NTJ, is a unique company that trains and equips digital agencies. These agencies not only work in the digital space, but are aware of how to maximize digital offerings. NTJ needed to make a strong impression to an audience that builds sites for a living. To take their next step, NTJ needed a digital platform to showcase their expertise and present diverse service offerings. This included the need to highlight their effective but complex training methods. With a savvy business audience full of digital experts, NTJ needed a website that established themselves as peers with significant value to offer in a competitive industry. Navigate the Journey worked with eResources to determine the best platform for their needs. Through our discovery process, our team was able to break down the target audience, identify technical requirements, and use business objectives to create a cohesive project roadmap. 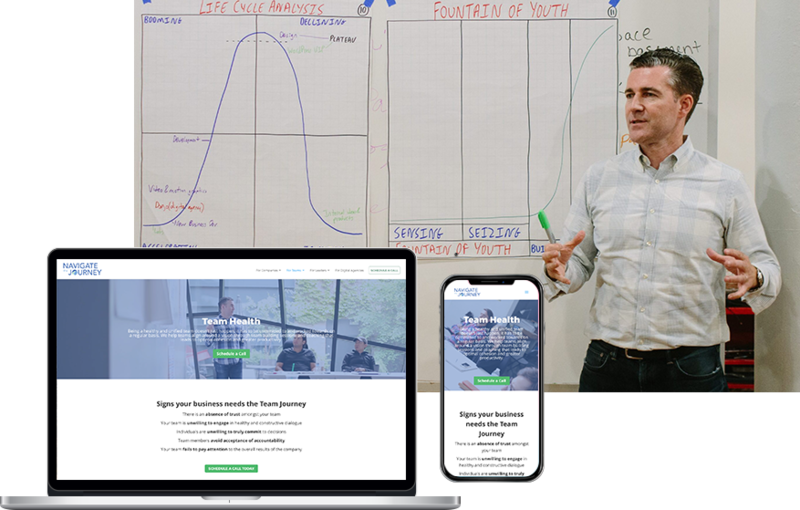 eResources created a dynamic site with an information architecture that was easy to navigate, update, and clearly displayed the vision of Navigate the Journey. In addition, our team provided a way for NTJ staff to communicate using a more engaging media. This site featured a full-width video, created by eResources, displayed on the homepage. There was also a video linked in the header which showcases their work as a strategic partner. Having a video on a landing page boosts conversion rates 80%. 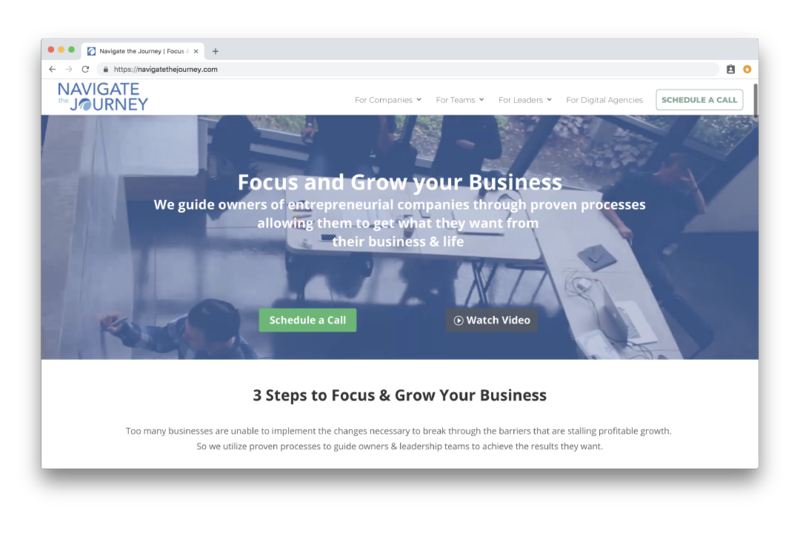 Navigate The Journey guides owners of entrepreneurial companies through proven processes allowing them to get what they want from their business & life.